Check the MyHeritage website to see if your ancestor's records appear here. 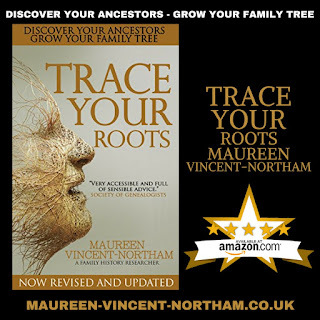 A great teaser/banner for Trace your Roots courtesy of Author Shout. This book is a invaluable took in the study and research of our ancestors. I am starting research going back to the Revolutionary War and Pilgrims. that can be quite daunting. With the wisdom in this book my job finding my ancestors and their records is infinitely more organized and simple. This is written for any beginning genology researcher as well as those seasoned will all find valuable assistance here. I appreciated the attention to detailed and extensive information. With this book in my hand I will be much more successful in my search. What better way to rid the country of its undesirables than to send them somewhere else? Many convicted criminals were transported to the penal colonies, which was an alternative punishment to the hangman’s rope. The cost to the state wasn’t great, no first class sea voyages for these people, and so everything swung along nicely for quite some time. The American War of Independence put paid to the practise of hosting convicts in the latter quarter of the eighteenth century. But in 1787, Britain had another idea and transportation to Australia began. It is said that some 160,000 convicted criminals – men, women, and children – were transported to Australia. Fortunately for us, there are many records we can check in order to trace our ancestors’ journeys. 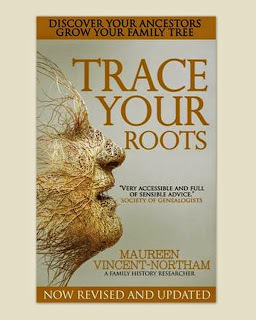 Trace your Roots gives full details of where to search. 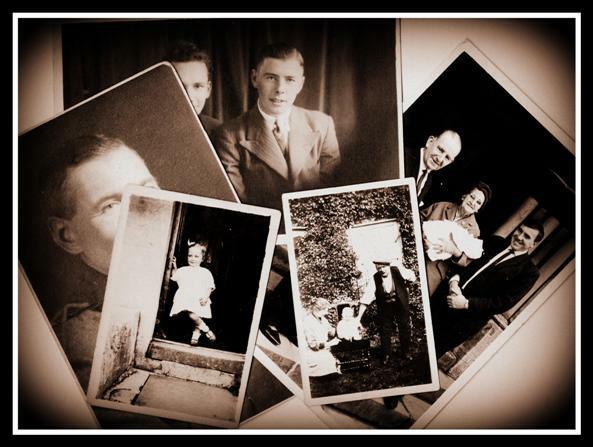 On the Ancestry website, type in your family surname and find out all kinds of facts and available records related to it. Found a few things searching my own family name of Kilminster from Wilshire and Gloucester including emigration records and passenger lists. My guest, Lynne Black tells us how broadening her census searches helped her keep track of her family's whereabouts, which led to further interesting findings. Mary Sarah Young was born in 1867, the fourth daughter, and fifth child of seven of Hannah Halliday and George Shields Young. Although born in Gateshead in County Durham, her family moved to Yorkshire when she was young and she grew up in Shipley. Mary came from a well-educated family. 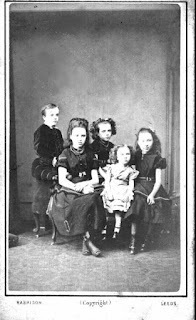 Several of her older sisters had been governesses or worked in schools, and at the age of 24 in 1891 Mary herself was working in Shipley as a School Assistant Mistress. However she had vanished from Yorkshire in the 1901 census and by broadening my search I found her living down in Okehampton, Devon with her mother Hannah and two sisters Marion and Edith. Mary was single and her family all widows; Mary was the only one in the household working, and by this time she’d had a promotion to Schoolmistress. It can’t have been too long after that before she and mother Hannah had moved on again, to Pembrokeshire. Her youngest sister Edith accompanied them but didn’t stay that long; she had fallen for a surveyor from Okehampton and they married in Pembrokeshire in 1905 before moving back down to Devon. Her sister Dora came up from her home in Essex to visit in October 1908, but shockingly died during her visit, leaving a husband and 3 young children. By 1911 Mary had been appointed as a Head Teacher of an elementary school owned by Pembrokeshire County Education Authority. She and her mother were living in Rhydberth, Tenby. The Tenby Junior School website tells me: “Tenby Council School was built in 1915 while the First World War was at its height. It was officially opened in June 1916 by Mr S.B. Sketch, J.P., C.C., Chairman of the Education Committee. The school was situated in Greenhill Road and pupils came from the School which had previously been held beneath the Methodist Chapel in Warren Street, which was subsequently demolished in the 1980s. The Headmaster at this time was Mr J Howells.” Given Mary’s religious background, I’m wondering whether she taught at the Warren Street Chapel. Pembrokeshire Record Office website has some potential for archive material if I want to follow it up at a later date. 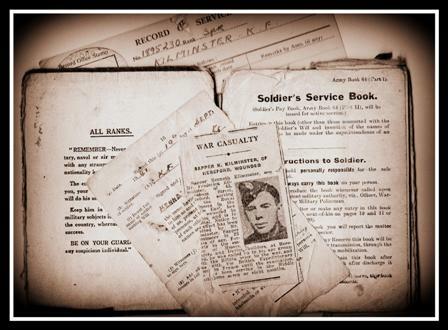 Her sister Marion remarried at the start of the war, a John Ogden, a widower, back in Yorkshire in Keighley. Eight years later in 1919, after the first world war which took her nephew George Shields Young, Mary is also found back up in Yorkshire, listed on the electoral roll in the School House in Oldfield, where she was still living in 1926. I googled ‘Oldfield School West Yorkshire’ and it came up with the website of the Oldfield Primary School which has a lovely image of an old school building on the home page. It’s been taken on a frosty morning and I can just picture Mary wrapped up well walking up the path to the door. I rang the school and the secretary said that she was actually speaking from the School House, which I really loved. By 1929, aged 62, she has moved to Harrogate, Yorkshire, where she lived for the rest of her life. She died, aged 75, in the midst of the second world war, on Christmas Day 1942. In her will left effects of £871 5s 1d [£25K in 2005 money] to her brother and her nephew. 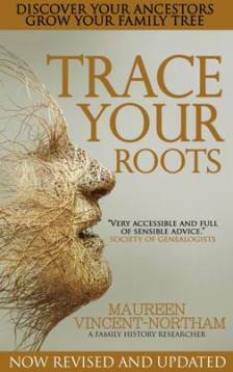 Trace your Roots is in Crooked Cat's Summer Sale for a bargain price of just 99p. That's even cheaper than chips (and far more useful). "Whether or not you're tracing your family tree, this is an interesting read by Maureen Vincent Northam. It is laid out in stages and makes it look easy if you decide that it's something you may do one day. If you're already wanting to follow your family heritage, then this is a book for you." I'm an editor with Crooked Cat Books (I freelance too!) and author of Trace your Roots (Crooked Cat) and co-author of The Writer’s ABC Checklist (Accent Press). My work has appeared in newspapers, magazines and on the Web and I'm a past winner of The Writers’ Advice Centre for Children’s Books contest. 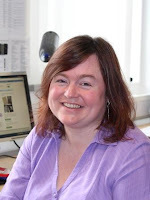 I've tutored workshops, judged online writing contests and currently critique stories for a leading UK writers' mag. Oh, and I'm not nearly as solemn as I look in this picture.